When Christopher Nolan's third Batman movie comes out, I hope to take time to analyze his whole series of Batman films as a response to the odious ideas implicit in Frank Miller's watershed comic The Dark Knight Returns . But much as I hate what DKR stands for, it's a frikkin' masterpiece of the comics medium; A D Jameson at Big Other has a fascinating series describing why. 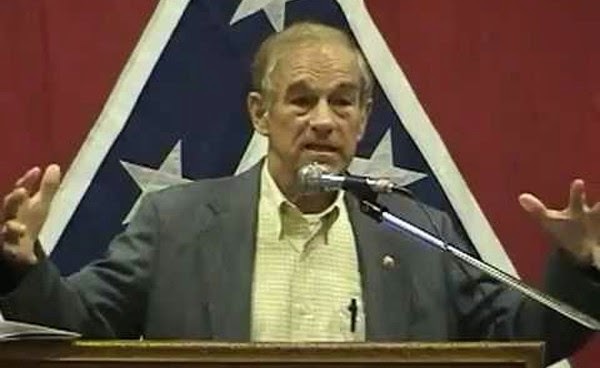 Thanks to Ron Paul, I just had to explain to someone one of the reasons why libertarianism is stupid. So I'm sharing. Libertarians will tell you that “behind every law is a man with a gun,” and I actually respect the hell out of the clear-eyed skepticism about violence which motivates this comment. But libertarians thus conclude that since violence is bad government is bad and we should eliminate it. Which is stupid. I vigorously believe in the state's “monopoly on violence” ... provided the state in question is a liberal democracy. The “liberal democracy” piece is key. 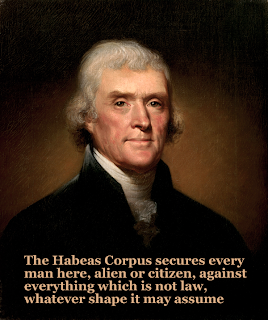 That means not liberal in the sense of the liberal-conservative axis in American political discourse, I mean in the political science sense of Jefferson's “to secure these rights, governments are instituted among people, which hold their just powers by the consent of the governed”. A liberal democracy is a state constructed to protect the rights and liberties of its citizens and accountable to its citizens for its actions and institutions. Looking at our own government on those terms, it is easy to see that it is extraordinarily accountable and protective of individual rights if you compare it to most societies through the world and history, but is also well short of the ideal. I believe that it is possible to construct government institutions that deliver categorically better liberal democracy than we have now, and therefore it is more effective to work to build a better liberal democracy than to eliminate the state. An accountable agent with a monopoly on violence is desirable for two reasons: some people are inclined to resort to violence, and some people are schmucks. Because some people will resort to violence, you cannot eliminate the state. This is why those of us who dismiss libertarianism point to the Somalia example: in the absence of the state's public use of force, there is no check on personal use of force, which is a problem for all the familiar reasons. Because some people are schmucks, you cannot eliminate the state. To have a functioning society, you have to make a million decisions about shared norms. Some of those norms are arbitrary: Either you drive on the left side of the street or the right. Some of them are about how you define property: Does someone own Harry Potter? Mickey Mouse? Sherlock Holmes? Hercules? Some of them are expressions of values: Do you allow advertisements to lie? How much pollution do you allow in a river? Libertarians operate from the fantasy that it is most democratic to allow shared norms to emerge organically from a marketplace of individual actors. But in reality, schmucks can spoil the party by violating the norms that most people prefer: driving on the wrong side of the road to save a little time, publishing books they didn't write under their own byline, selling arsenic as penicillin, dumping toxic waste into that river. You need an agent of public will with the power to enforce norms, which requires the use of force. It is right to find the use of force discomforting, but it is naïve to think we can wish it away. The solution is to make our agent of force institutionally limited and institutionally accountable to the populace: a liberal democratic government. Seriously, don't. The results are Lovecraftian. On the train this morning, I read Mark Lilla's New York Review of Books piece Republicans for Revolution, on Corey Robin's book The Reactionary Mind: Conservatism from Edmund Burke to Sarah Palin . As in most NYRB articles, it's really less a review than an article that uses the book as a point of departure. Lilla is sharply critical of Robin for ignoring important distinctions between different strains of conservative thought. I can't speak for Robin's book — it's sitting on my shelf, thus far unread — but Lilla's description of Robin's thesis lines up with Phil Agre's masterful summation of conservatism, which suits me just fine. The result of this objection is useful, though: Lilla uses it as a springboard to provide a quick survey of different conservative schools of thinking and their history ... bringing us to our contemporary Republican party, with its “mainstreaming of political apocalypticism”. 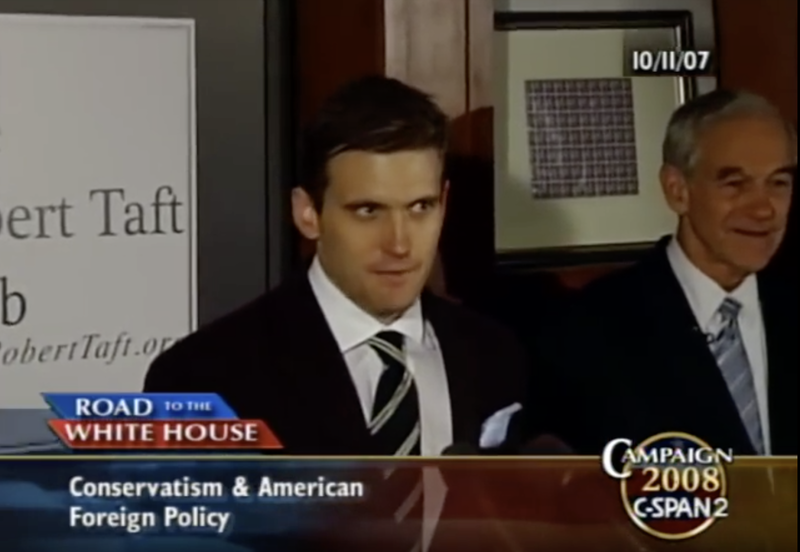 I like to think that I know a bit more about the history of conservative thought than a lot of lefties, but I don't know as much as I think I ought to, so I got a lot out of Lilla telling it from the perspective of a thoughtful person sympathetic to conservatism but profoundly unsympathetic to the turn that American conservatism has taken in recent years. Terrific stuff. All this is new—and it has little to do with the principles of conservatism, or with the aristocratic prejudice that “some are fit, and thus ought, to rule others,” which Corey Robin sees at the root of everything on the right. No, there is something darker and dystopic at work here. People who know what kind of new world they want to create through revolution are trouble enough; those who only know what they want to destroy are a curse. When I read the new reactionaries or hear them speak I’m reminded of Leo Naphta, the consumptive furloughed Jesuit in Thomas Mann’s The Magic Mountain, who prowls the corridors of a Swiss sanatorium, raging against the modern Enlightenment and looking for disciples. What infuriates Naphta is that history cannot be reversed, so he dreams of revenge against it. He speaks of a coming apocalypse, a period of cruelty and cleansing, after which man’s original ignorance will return and new forms of authority will be established. Mann did not model Naphta on Edmund Burke or Chateaubriand or Bismarck or any other figure on the traditional European right. He modeled him on George Lukács, the Hungarian Communist philosopher and onetime commissar who loathed liberals and conservatives alike. I get the question all the time from smart liberal friends: what is conservatism, anyway? They're baffled. “As far as I can tell, anything someone on the right does is, by definition, ethical. It's not about the act, or even the motivation. It's about who's perpetrating it.” It has become the name for a movement that can scream from the rooftops that every Supreme Court nominee should have an expiditious up-or-down vote, then 15 seconds later demand tortuous proceduralism when that nominee is Harriet Miers. Flexibility is the first principle of politics. Is Chalabi, or Jerry Falwell, a “principled conservative” or a “pragmatic conservative.” That's a question I'd like to pose to you all. My head hurts just thinking about it. This part of my talk, I imagine, is long after the point a constitutive operation of conservative intellectual work has clicked on in your minds: the part where you argue that malefactor A or B or C, or transgression X or Y or Z, is not “really” conservative. In conservative intellectual discourse there is no such thing as a bad conservative. Conservatism never fails. It is only failed. One guy will get up, at a conference like this, and say conservatism, in its proper conception, is 33 1/3 percent this, 33 1/3 percent that, 33 1/3 percent the other thing. Another rises to declaim that the proper admixture is 50-25-25. It is, among other things, a strategy of psychological innocence. If the first guy turns out to be someone you would not care to be associated with, you have an easy, Platonic, out: with his crazy 33-33-33 formula--well, maybe he's a Republican. Or a neocon, or a paleo. He's certainly not a conservative. The structure holds whether it's William Kristol calling out Pat Buchanan, or Pat Buchanan calling out William Kristol. For future reference: Political Research Associates debunks canards about the Federal Reserve. There are times when I think that the media companies have no one to blame but themselves. Apple had to trick the music industry to save it, with their “easier than stealing, and almost as cheap” solution. But the people who control video rights are still too dumb to take my money. Update: The same idea, again referencing Game of Thrones , from The Oatmeal. Update: Again with Thrones , making a joke that only fans will get. 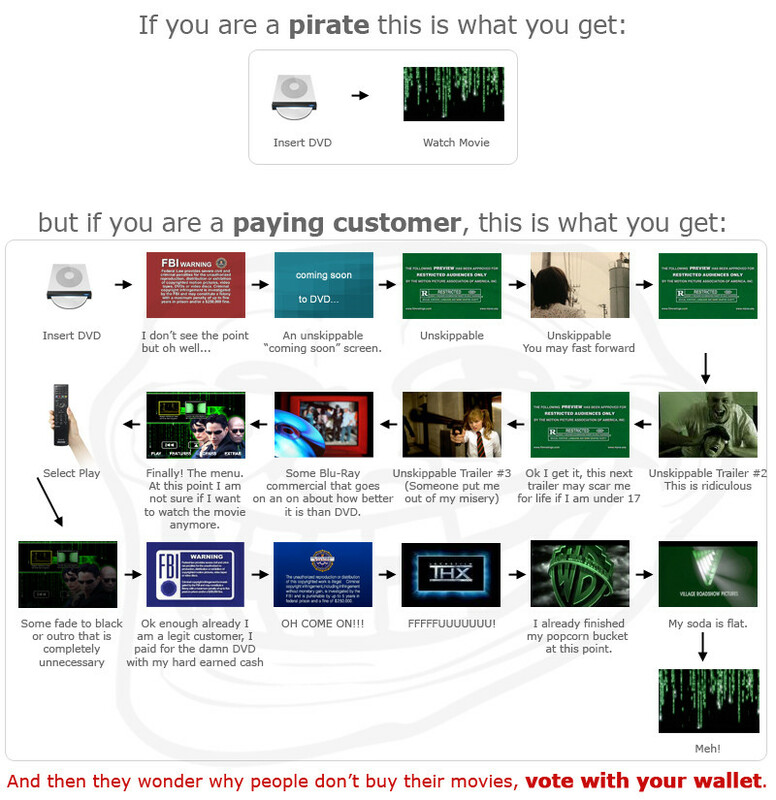 Update: A wry commentary on why pirate DVDs are usually better than the ones you pay for. Bob “Moviebob” Chipman at The Escapist has a great little video series about the history of Hollywood. Nothing in it is news to a cinephile, but if you have an idle half-hour to spare and have a casual interest in movies, it's well worth your time. Note that the page design at The Escapist is pretty bad, so you might miss the link to the next installment; you can find it a few lines below the video player. Moviebob is a terrific Web raconteur, using his voice plus a few simple slides to tell his story with humor, wit, and no small measure of real insight. I think of him as an example of the intersection of web culture, pop culture, and geek culture at its best, and have watched most of the videos in both his Escape to the Movies review series and his The Big Picture series of ruminations on all manner of geeky pop culture topics. Though I'm tempted to say that his occasional exclamation that comics ... are ... weirrrrd is my favorite part of his schtick, he really shines in digging into some bit of pop culture obscura and coming away with surprising and interesting insight. The signal example of that is his piece The Collar, examining the real reason why Yogi Bear wears a necktie ... which opens the door to an examination of the relationship between cartoon storytelling and the economics of the animation business. Seriously, check that one out, and maybe you'll be hooked on MovieBob too. I just stumbled across a fascinating web resource of quotations from Thomas Jefferson talking about taxation. It turns out that Jefferson clearly favored progressive taxation. I approved from the first moment of... the power of taxation [in the new Constitution]. I thought at first that [it] might have been limited. A little reflection soon convinced me it ought not to be. Taxes should be proportioned to what may be annually spared by the individual. Another means of silently lessening the inequality of property is to exempt all from taxation below a certain point, and to tax the higher portions of property in geometrical progression as they rise. Interestingly, the quotations give us a Jefferson who supports tariffs as the primary source of government revenue because imports are luxury goods used by the rich. I didn't know that.